Feature Benefit Made Synthetic Nylon or Polyamide texturised/ stretch yarn for more wearing comfort & soft feel. The Nylon offers more sensitivity & ease at finger tips & less lint reduces the chance of contamination of material handled. 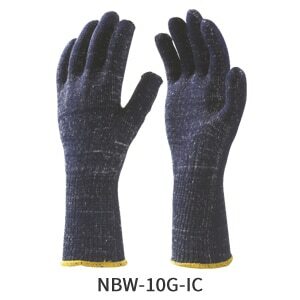 The gloves in 13 & 15 gauge offer more lighter & sensitivity of finger tips recommended for precision work. These gloves are available in different colours options like White, Blue, Black, Grey etc.. & sizes options from M to XL. The Nylon/Cotton Plated Gloves made to increase protection & also to provide wearing comfort to absorbe perspiration.